Here I am. That was the only line uttered by Veruschka—famous enough in 1966 to play herself—in her classic scene from Michelangelo Antonioni’s Blow-up. But here was a case where action—those three minutes of leggy writhing on the studio floor for David Hemmings’ Bailey-esque fashion photographer—truly spoke louder than words. 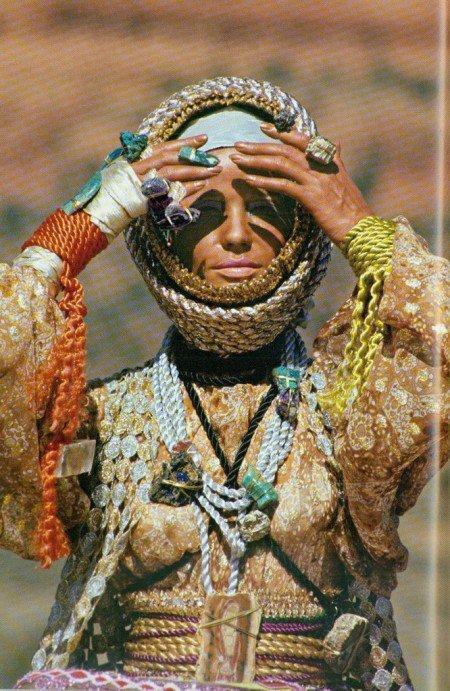 It’s no exaggeration to say that Veruschka changed ­fashion for good. She was the first superstar model of the Sixties. 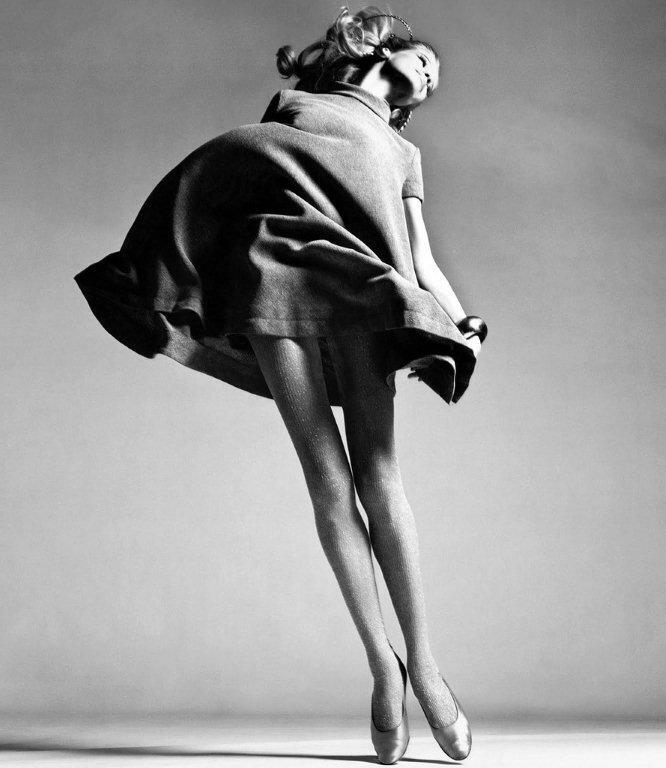 Her six-foot frame, with its improbably long limbs, was revolutionary, ­following as it did the more womanly shapes of the models that came before her. When the director Antonioni came to London in 1965 to film Blow-Up, the fashion movie that defined the decade, he cast Veruschka as the model who cavorts in front of the lens of the ­character based on David Bailey. The part was only a cameo, lasting no more than five minutes, but it made her a superstar. Slinking like a cat toying with a mouse—half-naked on the floor in a beaded dress—while the photographer shouted encouragement (“Give it to me! Give it to me! . . . Work, work, work!”), she was sixties sexuality incarnate. 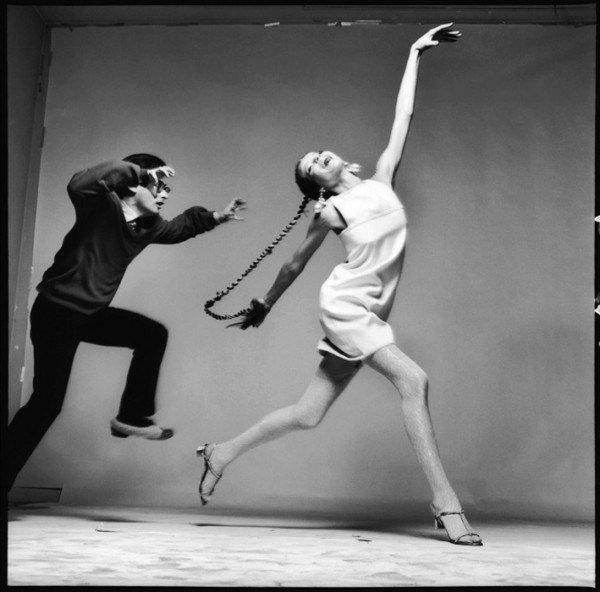 Veruschka single-handedly started the trend to be super- thin; Twiggy burst on to the scene only once the film was in the can. Start of the super-thin trend: Veruschka admits she was too thin when she played a model who cavorts in front of the lens of the ­ it-fashion photographer in the film Blow Up. Dysentery. Not the most glamorous of muses for a new look. Vera Gräfin von Lehndorff-Steinort or Veruschka von Lehndorff (born 14 May 1939 in Königsberg, East Prussia, Russia) is a German model, actress, and artist who became popular during the 1960s. 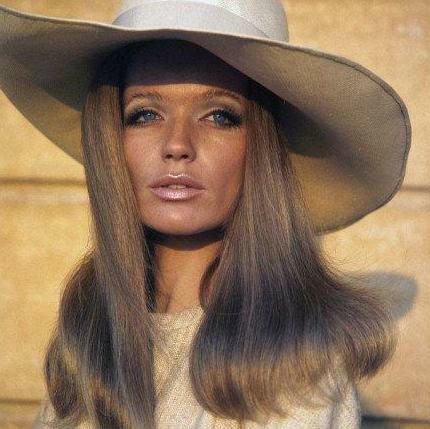 Known professionally as Veruschka. Vera’s father, Count von Lehndorff, is serving in the German army reserves when he witnesses Nazi atrocities in Balarus. The count takes part in the famous Operation Valkyrie plot to kill Adolf Hitler at the Wolf’s Lair. He is arrested the day after the conspirators’ bomb fails to kill the Führer. “I have done this because I consider Hitler to be a murderer,” Von Lehndorff tells the court at his trial. He is convicted and hanged. Vera and her sisters are separated from their mother and taken to a labor camp. “You will change your names and Hitler will educate you and you will never see your mother again,” the girls are told. Vera is five, her eldest sister seven. In 1945 World War II ends in Europe. The von Lehndorff family is shattered, homeless, moving from place to place. Vera will attend thirteen different schools before studying at an art college in Hamburg. Although she had grown up dreaming of becoming an artist, she moved to Florence, where she was discovered at age 20 by the photographer Ugo Mulas and became a full-time model. In 1961 Veruschka, a twenty-something, aspiring model who stood more than six feet tall, is still going by her given name, moves to New York City. Her modeling career fails to take off. She is unable to secure even one booking, despite having met Eileen Ford, head of powerful Ford Modeling Agency. After a brief sojourn in Europe, she brings a new, exotic name back to Manhattan: Veruschka. “I dressed all in black and went to see all the top photographers, like Irving Penn,” she will later say. 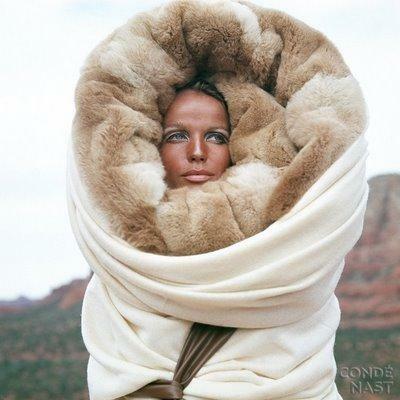 “And [I] said, ‘I am Veruschka, who comes from the border between Russia, Germany, and Poland. 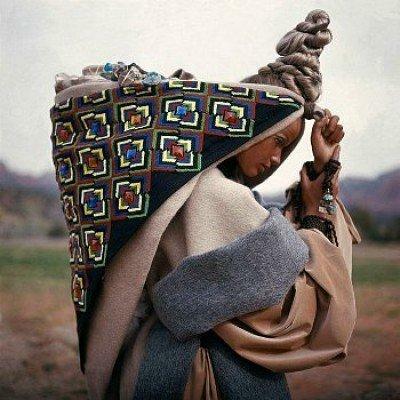 I’d like to see what you can do with my face.’ ”Her audacity, and her exoticism, are entrancing. 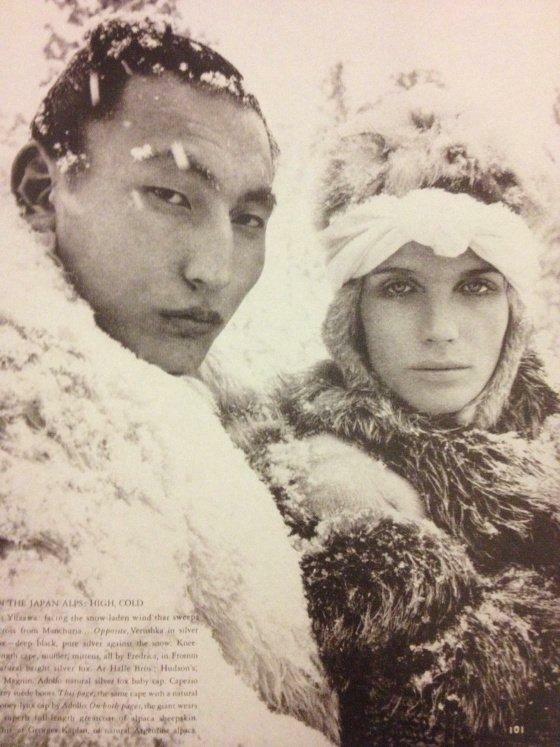 For one landmark shoot, with Avedon and the fashion editor Polly Mellen, Veruschka spent three weeks in Japan, modeling exotic furs on icy peaks, on the slopes of a dormant volcano, and in a shogun’s shrine. “Fashion isn’t about being beautiful. It’s about never being forgotten once a photographer has seen you,” she once said. 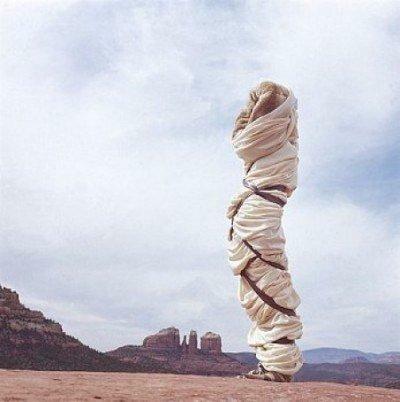 Sensing that her moment had passed, Veruschka retired from modeling in 1975. She reverted to her given name and rediscovered her first passion: art. Working with Holger Trülzsch, a painter and sculptor, she collaborated on photographic self-portraits in which her camouflage body paint blended into the background; they were an “exploration of visibility and disappearance, a near-perfect but uncomfortable analogy for [her] own life,” according to Frieze magazine. 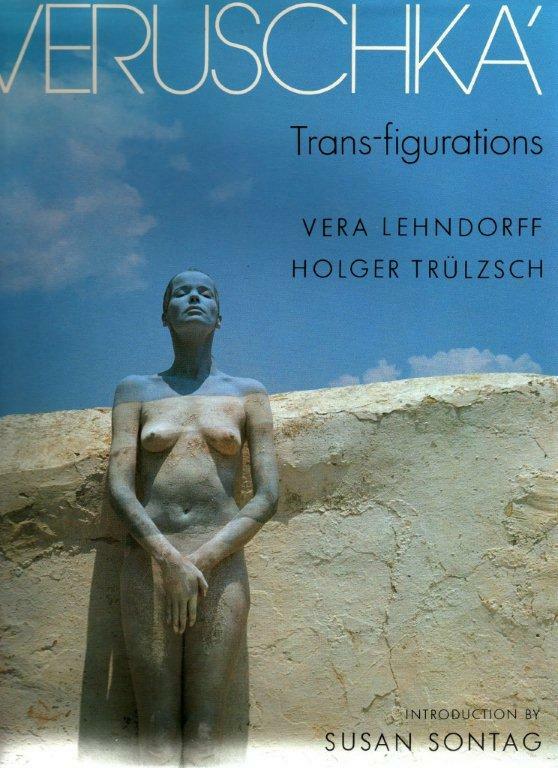 Her first photo book, Veruschka: Trans-Figurations—in collaboration with artist Holger Trülzsch—is published in 1986. In the arresting images, her body is painted to appear clothed. In October ’94, Veruschka makes a surprise runway appearance at the Chanel spring show in Paris (“looking sensational,” one reviewer says).And in 2002 “Veruschka Voyage” is the title of designer Michael Kors’s latest collection for French fashion house Céline. 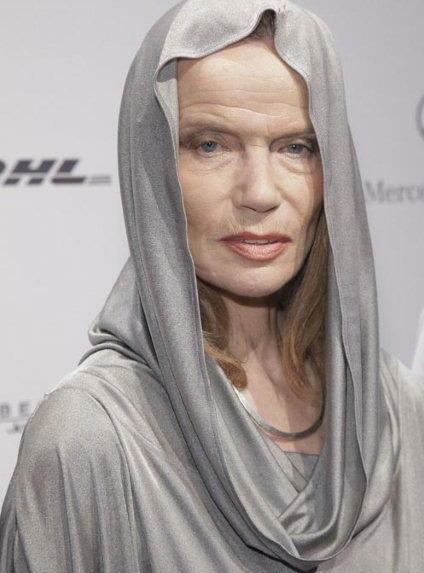 In 2006 Veruschka appears as Gräfin von Wallenstein in latest Bond flick, Casino Royale. 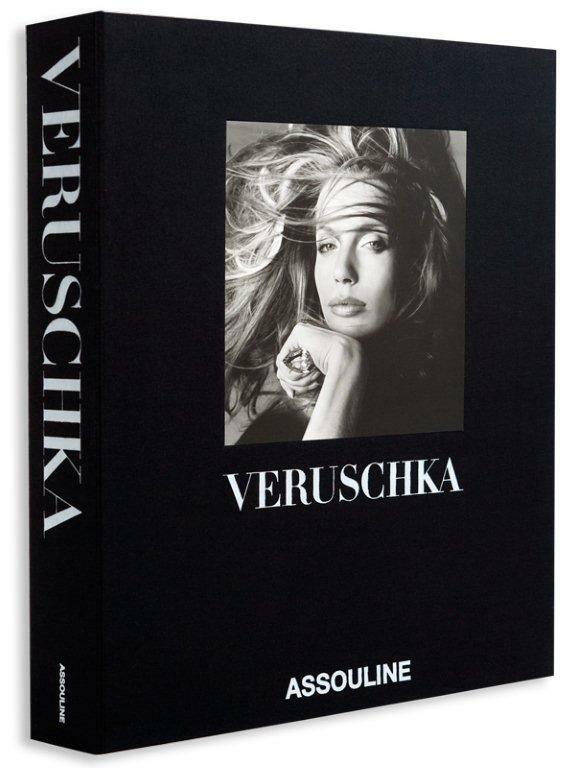 Veruschka, a sumptuous $500 limited-edition coffee-table book, is published by Assouline. The foreword, by Richard Avedon, is reprinted from a May 1972 issue of Vogue. Occasionally Veruschka still appears on catwalks. wow she is a lovely woman. but i expected her to look a little better when she got older ,but she still has lovely eyes. I STILL FEEL THE SAME ABOUT HER. HER BOOK IS ACTUALLY IN FULL VIEW ON MY DRIFTWOOD BOOK SHELF.